A Microcurrent Facelift is a non-surgical, non-invasive cosmetic technique that safely improves the appearance of the skin without surgery. A Microcurrent Facelift treatment is proven safe and effective, delivering results at a fraction of the cost of traditional procedures. If any of these are on your Anti-Aging ‘To Do’ List, Microcurrent facial is for you! · Your Entire Face Looks Years Younger! 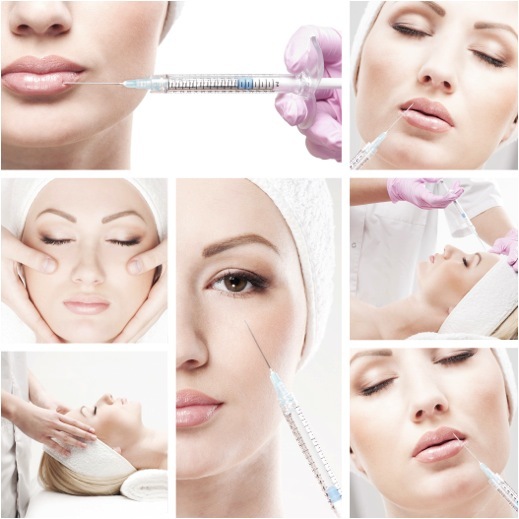 The best candidate for a MicrocurrentFaceLift, is any client who wishes to maintain or gain a youthful appearance. Sub sensory current facial lifts provide immediate results, which are cumulative with a series of treatments. Sub sensory current re-educates the muscle tissue relaxing some and tightening others, as necessary. It will strengthen and tone loose and slack muscles, giving a firmer appearance to the face. As you age, your body looses much of its natural energy, (similar to a battery losing its charge) which leads to a breakdown of collagen and elastin. Beneath your skin the facial muscles become increasingly contracted over the years of facial expressions, others become elongated over years of age and gravity, which allows the overall lift of your face to decline. Microcurrent emits electrical frequencies that mimic your body’s own electrical signals, thereby increasing the amount of ATP by as much as 500%. The increased ATP levels speed your cell metabolism and elimination of cellular waste and impurities. This helps your skin rebuild its collagen and elastin, which give your skin its flexibility and firmness. Sub sensory current lifting has been used for the past 50 years in medical treatments with no side effects. It is completely safe and totally painless; it is, in fact, so relaxing that some people fall asleep during the procedure. This Reverse-Aging Anti-Gravity Facial Lift requires no anesthesia, no recovery time, no down time from work, and has no side effects. Clients go through a series of treatments followed by regular maintenance to keep a more youthful appearance. Each time a treatment is performed the new contour maintains its position better and longer. Typically clients notice a 5 to 7 year reduction in facial aging. • Perfect for Special Occasions, or a quick pick-me-up for an Instant Facelift lasting up to two days. • Post surgical facelift, to maintain the lift and treat blood stasis, scarring and numbness. Older clients will minimize lines, wrinkles, and improve skin tone and texture. It is known as the Red Carpet Treatment, the Lunchtime Lift for its immediate results and no downtime. It is the most effective treatment before any important event. Utilizing both technologies maximize the end result. Fillers give a quick and effective “filling “ effect, diminishing the appearance of fine lines and wrinkles. However they do nothing for muscle contour, natural collagen or elastin production, all of which are addressed with microcurrent. Many doctors find it necessary to sculpt and contour the muscles of the face to maximize and complete the effect of fillers. Recommended microcurrent treatment after Botox and fillers is 2 weeks after. A lot of clients and doctors see prolonged effects of Botox when using in conjunction with microcurrent. Because of healing properties that microcurrent possess, it also is recognized as the tool of choice by surgeons for pre and post-op applications.